Columbus Symphony Grove was dedicated on May 10th at Franklin Park! Thank you to everyone that attended! The Columbus Symphony is creating an enduring legacy for the residents of Columbus by planting a grove of trees in Franklin Park. The nine tree species selected are new to Franklin Park. The addition of these new, diverse species will help the Franklin Park Conservatory become an arboretum in the future. 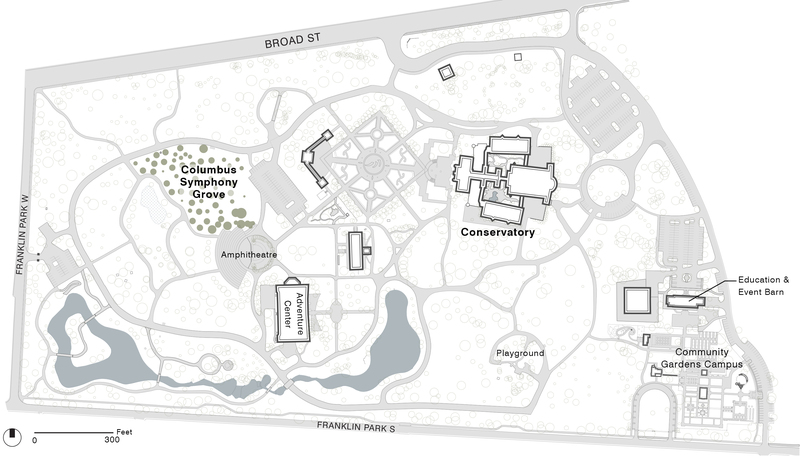 Discover all about the nine new species in the Columbus Symphony Grove here. Thank you to everyone who purchased a Blue Spruce Seedling which helped us raise money for the Columbus Symphony Grove! The Columbus Symphony partnered with the Columbus Recreation and Parks Department and Branch Out Columbus to plant a grove of trees in Franklin Park. The Columbus Symphony Grove will be a lifelong legacy and aid in the city’s goal to plant 300,000 trees by 2020. At the Columbus Symphony concerts, Blue Spruce Seedlings were sold to help raise funds for the grove. These tree seedlings were made possible by a generous donation from Eye Columbus’ Seeds for Sight program. They plant a tree for every pair of glasses purchased.